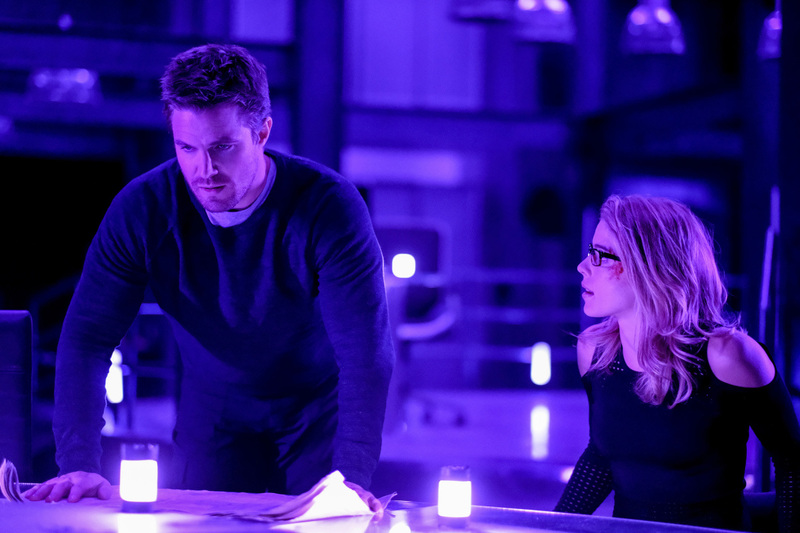 Episode 5×20 “Underneath” — Things get intense when Oliver (Stephen Amell) and Felicity (Emily Bett Rickards) are trapped in the bunker together. Meanwhile, Lyla (guest star Audrey Marie Andreson) and Diggle (David Ramsey) deal with their martial issues. Wendey Stanzler directed the episode written by Wendy Mericle & Beth Schwartz. Air Date: Wednesday, May 3 (8:00-9:00 p.m. ET) on the CW Network. Arrow -- "Underneath"-- Image AR520a_0007b.jpg -- Pictured (L-R): Stephen Amell as Oliver Queen/The Green Arrow and Emily Bett Rickards as Felicity Smoak -- Photo: Robert Falconer/The CW -- ÃÂ© 2017 The CW Network, LLC. All Rights Reserved.